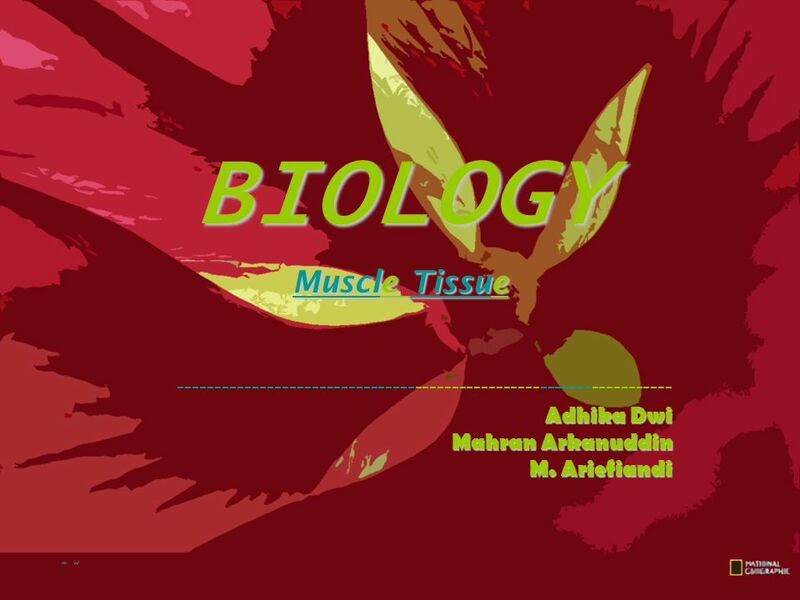 BIOLOGY Muscle Tissue ------------------------------------------------------------------- Adhika Dwi Mahran Arkanuddin M. Ariefiandi. 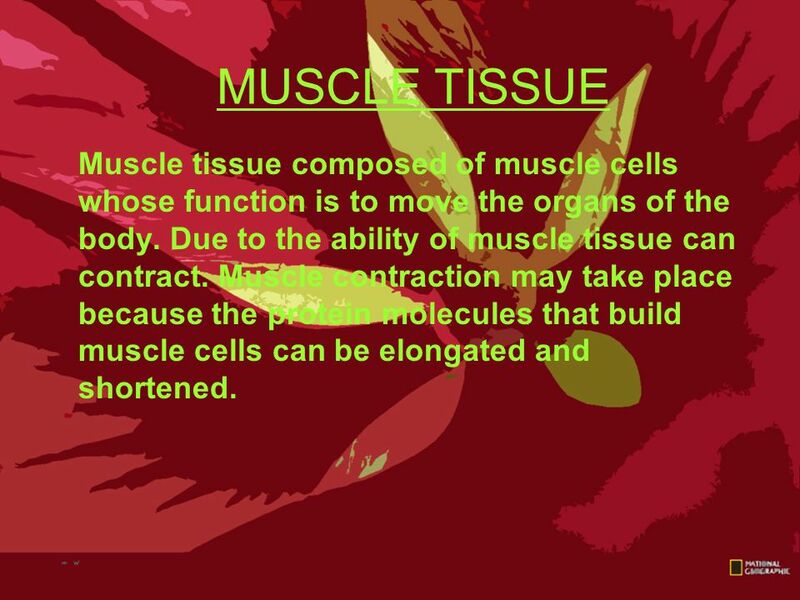 2 MUSCLE TISSUE Muscle tissue composed of muscle cells whose function is to move the organs of the body. Due to the ability of muscle tissue can contract. Muscle contraction may take place because the protein molecules that build muscle cells can be elongated and shortened. Download ppt "BIOLOGY Muscle Tissue ------------------------------------------------------------------- Adhika Dwi Mahran Arkanuddin M. Ariefiandi." Sponge: Set up Cornell Notes on pg. 41 Topic: 5.3 Muscle and Nervous Tissue Essential Question: 1.Distinguish the difference(s) between neurons and neuroglial. Muscular System Outline. 3 Types of Muscle Tissue 1. Skeletal 2. Visceral 3. Cardiac. Bell Work 1. What do muscles do for the body? 2. What does the word voluntary mean? 3. What is a tendon? 4. What is meant by perpendicular? 5. Where would. © 2012 Pearson Education, Inc. Muscle Tissue Function is to produce movement Three types Skeletal muscle Cardiac muscle Smooth muscle.  SEPUP Unit B: Activity 16. Functions Skeletal System (aka Bones) SupportMovement Protect internal organs Make blood cells Maintain body’s calcium balance. Muscle & Nerve Tissues. skeletal muscle, 10X, voluntary, striated attached to bones. The Muscular System. 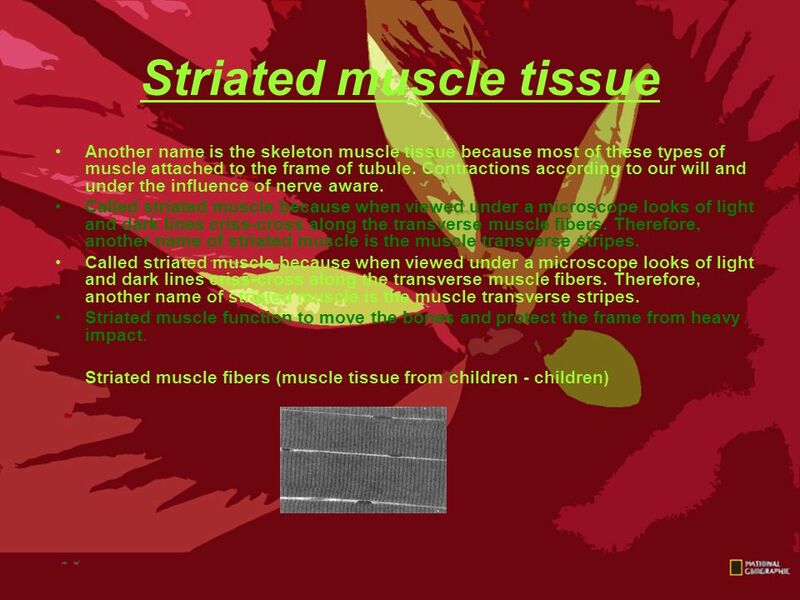 MUSCULAR SYSTEM Types of Muscle Tissue: Skeletal, Smooth, and Cardiac Skeletal, aka “striated” voluntary – attached to bones and. Human Biology The Muscular System. 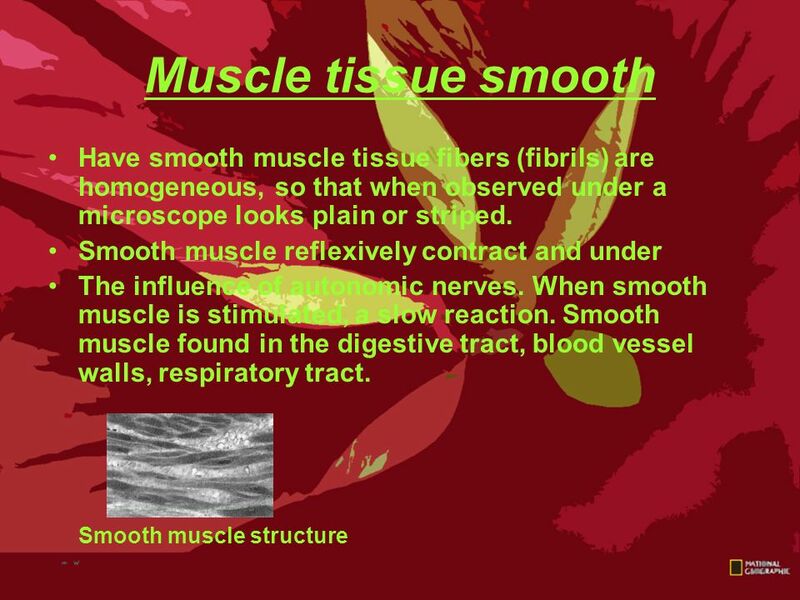 The Muscular System Ch Smooth Muscle is found in the digestive tract and the walls of blood vessels. 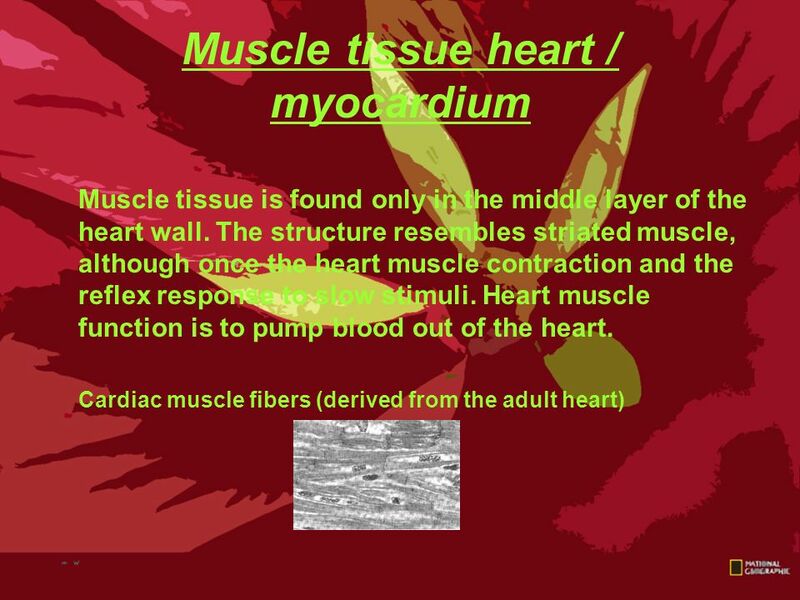 Cardiac Muscle is found only in the heart. Skeletal. The Muscular System 36-2 BIO 1004 Flora. 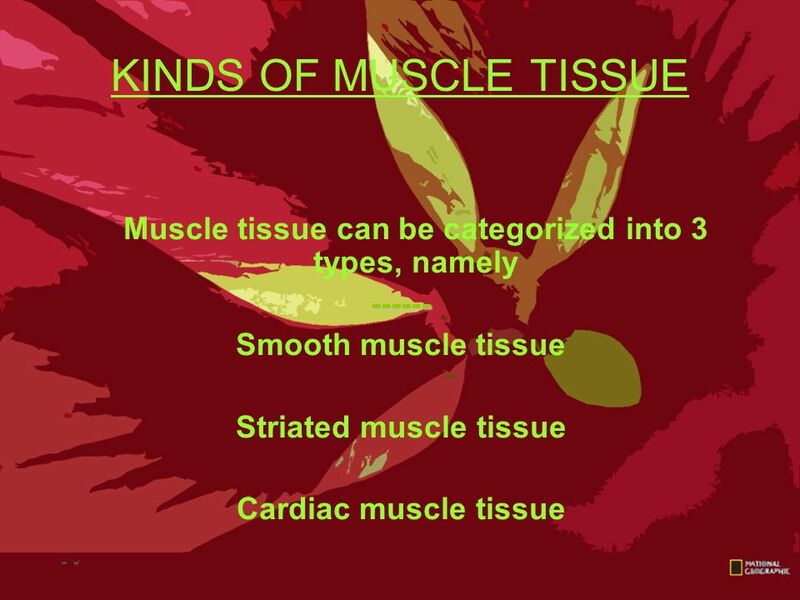 Types of Muscle Tissue 3 Different Types of muscle tissue: o Skeletal o Smooth o Cardiac o Each type of muscle. The Muscular System. General Muscle Functions the body and its parts to move or to move thingsMuscular tissue enables the body and its parts to move.  Book definition= Flat sheets of flexible connective tissue found covering parts of the body or lining body cavities.  This definition is not quite accurate.